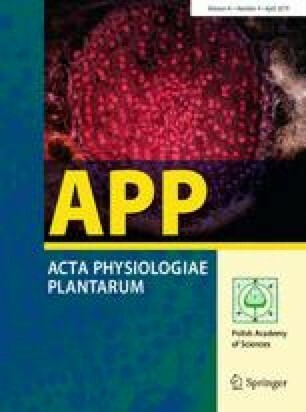 This study was conducted to monitor the effectiveness of seed priming with cold plasma and supplementation of rooting medium with SiO2 nanoparticle (nSi) on growth, physiology, and anatomy of Astragalus fridae. The plasma-primed seeds (surface power densities of 0.84 W cm−2; 0, 30, 60, and 90 s) were cultured in medium containing nSi (0, 5, 40, and 80 mg l−1). Ultra-structural analysis manifested the nSi uptake and transportation. The high doses of bulk Si adversely affected biomass and vigour index, while response to the nSi was partially different. The nSi5 amplified the growth-promoting roles of the plasma. The nSi80 treatment slightly diminished the chlorophyll content, which was mitigated by the plasma. The carotenoid content was rectified in the plasma and/or nSi-treated seedlings. The plasma and nSi treatments led to stimulations in activities of nitrate reductase in leaves and roots. The plasma treatments provoked the drastic stimulations in the catalase activities in both roots and leaves, while the effects of nSi in these organs were contradictory. Furthermore, stem and root diameters and differentiation pattern of xylem and phloem were modified. The findings provide a theoretical basis for exploiting in plant science and related technologies. Moreover, the available plasma-generating devices could be scaled up for treating plant tissue in in vitro condition.